Cheryl Lau is New World Encyclopedia's Music editor. She received a Bachelors in Music Education at Indiana University, a Master of Arts in Teaching at Smith College, a Doctor of Music Arts from the University of Oregon, and a Juris Doctorate from the University of San Francisco. Dr. Lau began her professional career as a Professor of English and Music at Soo Chow University and the Chinese Cultural College in Taipei, the Republic of China, and subsequently as a Professor of Music at California State University, Sacramento, California. She entered public life in 1980s, serving as Deputy Attorney General (1987-1991) and Secretary of State for the state of Nevada from 1991 until 1995.Dr. 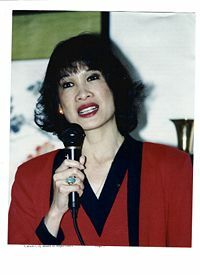 Lau became the first Asian American woman to serve as the top United States House of Representatives lawyer when she accepted the position of General Counsel — responsible for the legal interests of the chamber and its 435 members. She has been a Teaching Fellow at Harvard University in the John F. Kennedy School of Government (Institute of Politics) from 1997 and is presently a Judge Pro Tempore for the Carson City, Nevada Justice and Municipal Courts. Additionally, she is Vice President and General Counsel for the international firm, Transportation Inc. Throughout her life, Cheryl Lau has changed professions several times. She is featured in numerous publications, including American Women Speak, Voices of American Women in Public Life, Who’s Who of American Women, International Who’s Who of Professional and Business Women, and she has received many recognitions and awards. She has presented at numerous conferences in the United States and abroad, and has served as a board member, university trustee, and adviser to various organizations and associations throughout the past two decades. Lau attributes her success to her mother, father, and grandmother, who she considers her greatest role models. "We must rediscover our families," Lau has said. "When we do that we will learn more about ourselves." Her hobby is keeping up with her five grandchildren. This page was last modified on 5 January 2008, at 18:38.